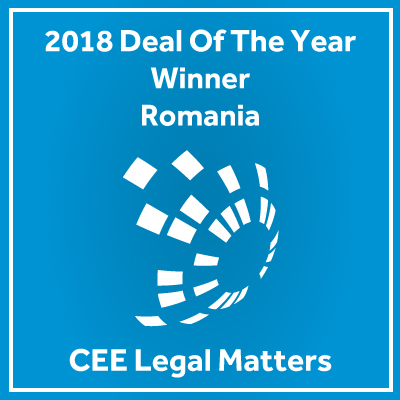 Our firm won the CEE Legal Matters Deal of the Year Award for Romania at the Deal of the Year Awards Banquet in Budapest for the assistance provided to Black Sea Oil & Gas in relation to its EPCIC Contract with GSP Offshore for the Midia Gas Development Project (the “MGD Project”). The finalists were selected by a panel of highly-regarded private practitioners all over Europe, with winners determined by a second group of prominent legal experts from across Central and Eastern Europe. Deals submitted for consideration were signed in the 2018 calendar year, and the panels based their determinations on deal complexity, market (and regional) significance, and value, among other factors. “The significance of the Black Sea Oil & Gas’s EPCIC contract with GSP Offshore was, ultimately, undeniable, and Ijdelea Mihăilescu played a critical role in making it happen. We are delighted that the voters recognized and acknowledged the firm’s fine work in this matter,” said CEE Legal Matters Executive Editor David Stuckey. 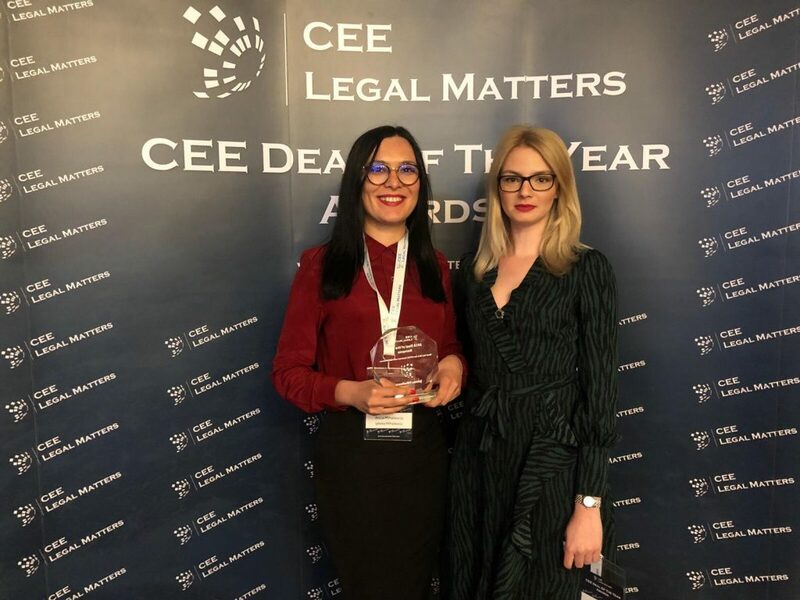 “We appreciated CEE Legal Matters research and selection criteria, that resulted in one of the most objective and prestigious award gala at regional level. 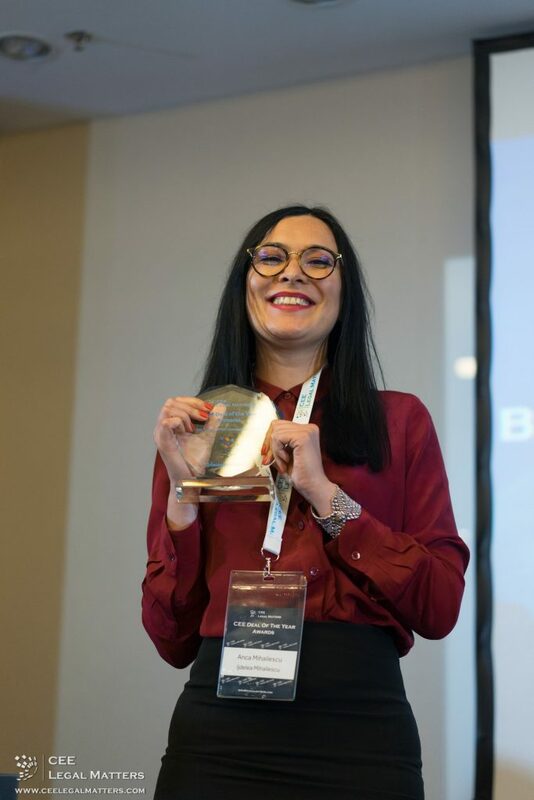 This event is an opportunity for us to extend our gratitude to our team, our clients and peers and, last but not least, to the journalists that recognized our contribution to the gas development sector in Romania”, stated Anca Mihăilescu, present at the award ceremony. Last year Ijdelea Mihăilescu provided legal assistance to Black Sea Oil & Gas in relation to the Engineering, Procurement, Construction, Installation & Commissioning (“EPCIC”) Contract for all offshore and onshore facilities and Development Drilling Contract with GSP Offshore for MGD Project, offshore Romania. Over the past eight years, Ijdelea Mihăilescu team has been the first option of Black Sea oil & Gas in relation to the rendering of legal services for all groundbreaking matters in Romania related to the MGD Project, including the setting of the legislative framework required for the project development, the performance of the regulatory procedure and resource capitalization.